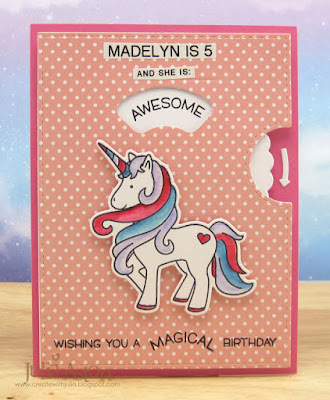 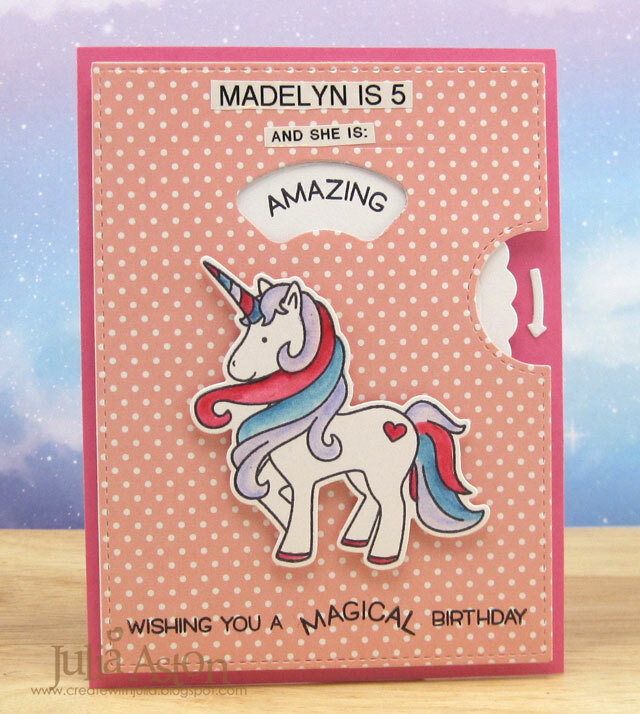 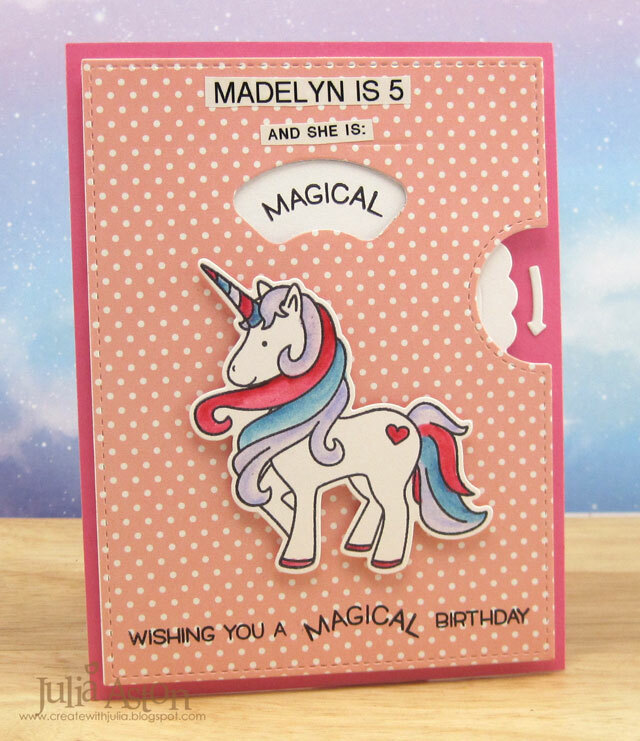 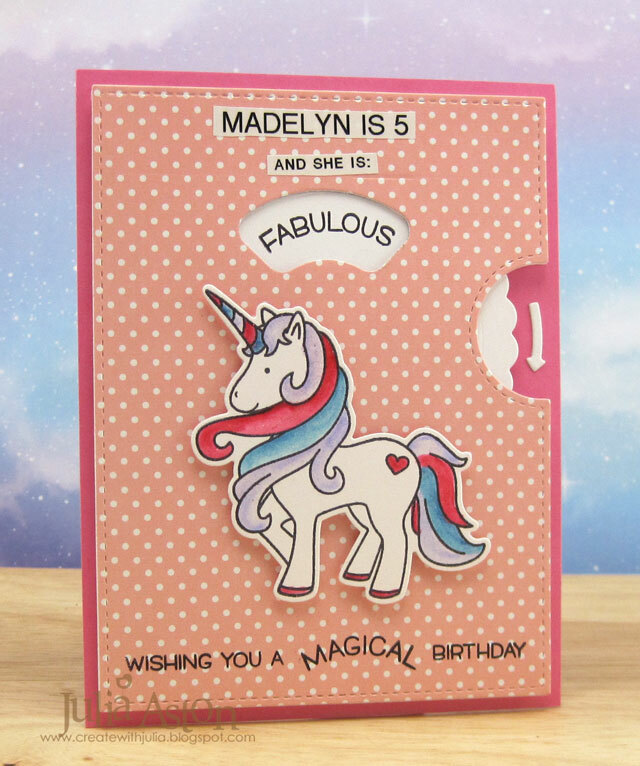 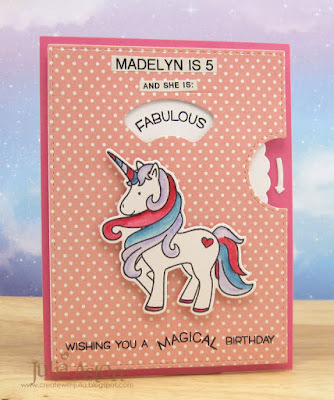 What an adorable and fun card for Madelyn! 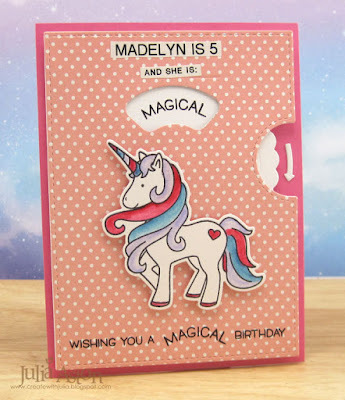 It is magical! I wish I could say that I don't do exactly the same as you - lol. 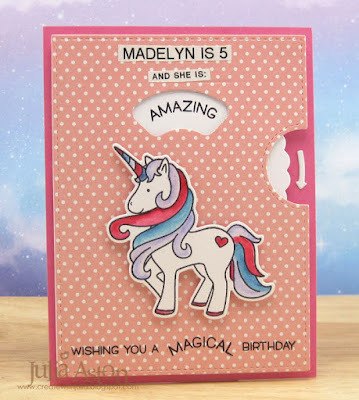 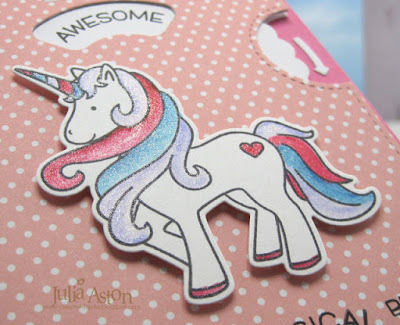 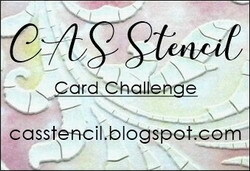 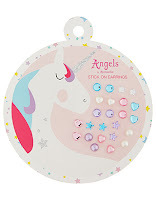 What a fun card...love your sweet unicorn and your changing sentiments, so clever!